American Patriot Oil and Gas (ASX: AOW) has acquired conventional oil and gas assets in the southern region of Texas, consisting of 285 boepd/900,000 barrels of oil equivalent 1P reserves certified by independent reserve reports. Realisation for the first of AOW’s acquisitions is US$5 million to be paid in two tranches. Management said that the assets are expected to generate more than US$2 million in annual net cash flow at US$47 a barrel oil prices. As a backdrop, AOW is an oil and natural gas exploration and development group headquartered in Melbourne, Australia, with a US office in Denver, Colorado. The company has approximately 28,256 net mineral acres under lease across five projects. The company’s aim is to deliver on the strategy of aggressively building a significant producing conventional oil business with well over 5000 barrels a day of production. Its existing projects are geographically focused on tight oil exploration and development opportunities in the Rocky Mountain Basins. And now having assembled a portfolio of prospective oil and gas exploration assets in the US, AOW has completed joint venture agreements on its key Northern Star asset in Montana with US based partners. The good news doesn’t stop there for AOW. The company has seen a number of conventional oil and gas assets and is now transitioning to a significant oil and gas production company with an attractive pipeline of deals and an aggressive acquisition strategy in the oil heartland of the US – Texas. However, it should be noted that this is an early stage play and investors should therefore seek professional financial advice if considering this stock for their portfolio. 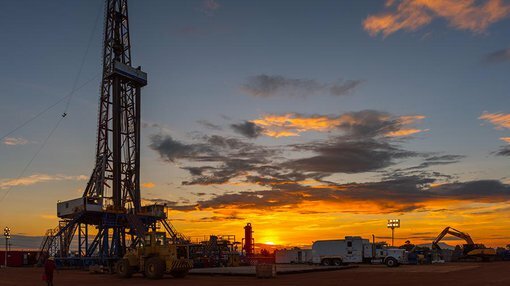 American Patriot announced its first deal on August 1: the company has acquired conventional oil and gas assets in Texas consisting of 285 barrels of oil and gas equivalent (boepd)/900,000 barrels proven oil and gas (mboe) 1P reserves certified by independent reserve reports. The total transaction of the first acquisition is US$4.5 million, split over two tranches and the assets will generate over US$2 million in annual net cash flow assuming a US$47/bbl oil price. Under Tranche 1, American Patriot has successfully completed due diligence and signed Purchase and Sale agreements (PSA) and Asset Assignments covering transactions with Safari Oil and Gas Production Inc and Anasazi New Ventures Corporation (the sellers) to acquire 100% of these companies’ oil and gas assets located in South Texas in Hidalgo, Hopkins and Goliad Counties. The transactions in Tranche 1 include oil and gas production of 170boepd (barrels of oil equivalent per day) and 1P proven reserves of 300 mboe supported by an independent reserve report. The assets in tranche 1 are forecast to generate USD$1 million of annual cash flow net to AOW. Management said that they have low cost economics of approximately $20/bbl, representing strong margins at current prices with the prospect of remaining economical even in a lower price environment. The purchase includes over 30 well bores of existing conventional production. Management also sees the potential to grow production significantly by restarting shut in production and workover/behind pipe potential on the existing wells. It is of the view that this can be done cost effectively, maintaining the economic viability of the wells. The assets included in Tranche 2 are expected to more than double the production and reserve base acquired in Tranche 1, delivering an additional 120 boepd and 1P proven reserves of 700mboe. The second Tranche is scheduled to close in September. The assets are being acquired using existing AOW cash plus funding from a significant US based funder who importantly is partnering with AOW to acquire these and additional future assets. Importantly, AOW has confirmed that these are the first of a number of conventional oil and gas production assets to be acquired in the second half of calendar year 2017, with a strong pipeline of additional deals in Texas currently under due diligence. This all bodes well for plenty of news flow and activity as AOW looks to ride the coattails that may lead to a more bullish oil environment. In conjunction with these acquisitions, AOW is raising AUD$1.3m through a committed placement to Capital Investment Partners who has placed the funds to existing shareholders who are sophisticated investors. Clark highlighted the fact that the company is now well on the path to being cash flow positive and importantly he flagged that this is only the first of many such deals to come as Tranche 2 is on track to close in September, more than doubling the production in the Tranche 1 deal. He also pointed to a number of additional transactions in the pipeline set to close in the second half of 2017, which would further accelerate production growth and bolster AOW’s reserves. AOW is now well placed to build a focused and growing oil and gas production business in Texas. Moreover, it has the potential to deliver significant value for AOW shareholders given the number of acquisition opportunities in the region. Working on the basis that AOW will now have 170boepd of oil and gas production generating immediate cash flow, Clark believes the company has the ability to grow this quickly to over 500bopd by the end of 2017, potentially doubling that by early 2018 through additional acquisitions and quickly restarting shut in production at low cost to the company. Indeed, the growing reserve base should provide investor confidence in management’s ability to bring new wells into production, ramp up output and increase cash flow, effectively providing a platform to execute on its growth by acquisition strategy. The backing achieved by US Partners to fund these acquisitions and the ongoing support from existing shareholders is a clear endorsement of this strategy.